Jacobitism remains among the most evocative of British historical movements, associated with powerful currents of romanticism and nostalgia. It owes this place in the historical imagination not least to the richness of the symbolism to which this essentially covert political movement gave rise. 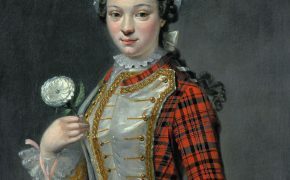 The symbols of Jacobitism – the rose and rosebud, white ribbons and cockades, the butterfly, the sunflower, oak trees and oak leaves – have great historical and emotional significance and act as a potent focus of sentiment. The symbolic language of the Jacobite cause is at the heart of the most significant public display of Jacobite material culture to take place for many years: the exhibition ‘In the Name of the Rose: The Jacobite Rebellions, Symbolism & Allegiance’, to be held at Fairfax House between August and December 2013. In association with this exhibition, Fairfax House will be hosting a one-day colloquium exploring the symbolic cultures of Jacobitism on Friday 15 November 2013. 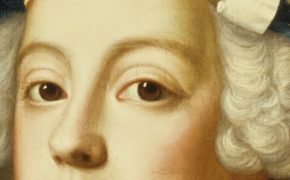 The aim of this colloquium is to bring together interested parties from academic institutions, museums, libraries and other backgrounds who share an interest in the symbols associated with the Jacobite movement from its origins in the late seventeenth century to the end of the eighteenth century. Relevant topics may include (but would certainly not be limited to) the culture of Jacobite objects and images; the iconography of Jacobite symbols and emblems; the role of specific categories of material culture such as jewellery, glassware, clothing, architecture or weaponry in conveying Jacobite messages, either overt or covert; Jacobite symbols in art, music or literature. Established authorities on Jacobitism will be participating in the colloquium. This full-day colloquium will be followed by a special guest lecture by Prof. Murray Pittock and launch of his new book, ‘Material Culture and Sedition, 1688-1760, Treacherous Objects, Secret Places’ ,at an evening reception at Fairfax House including the opportunity to see the exhibition, ‘In the Name of the Rose’.